It was a silly thing to fight over, especially since it was an argument about fitting as much joy as possible into a Florida Disney family vacation. I, led by my “mom-guilt,” argued that our boys had wanted to go “their whole lives” (slight exaggeration). And he, fueled by sheer logic, argued that it logistically made our trip more complicated. Both of us felt right, and both of us had a good case to be right. In an attempt to hold our positions, we dug in and sabotaged three days we could have otherwise spent together by arguing over a theme park made of Legos. Conflict in marriage can be incredibly discouraging when you desire to be on the same team but feel like you aren’t. The ideal, of course, is to quickly see the value in each other’s perspective, but most times couples do the opposite and start digging trenches for battle. And that’s how they end up in No Man’s Land. During World War I, opposing armies would dig trenches and aim mortars and ammunition at each other. The land between, known as No Man’s Land, lay unoccupied and unowned because of the fear and uncertainty of being ambushed while coming up out of the trenches. Fighting couples do the same thing. If during conflict you are like me, every shovel of dirt seems to be filled with all the reasons why I am right and why he should surrender. Of course, this is not my most shining moment, but I have a feeling I am not the only one with calluses on my hands. While I sat in my self-made trench this week, I spent time thinking about the losing battle over No Man’s LegoLand. 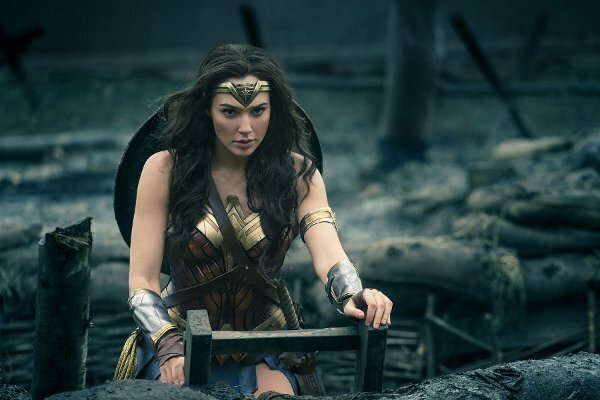 In a heroic scene from the trailer for the new “Wonder Woman” film, she courageously emerges from a World War I trench. Despite incoming mortars and gunfire, she shields herself from enemy contact and slowly makes her way across No Man’s Land. As a superhero who stands for personal courage, peace and the pursuit of truth, she is the first to emerge from the trenches. When hurt enters our relationship, we have a choice to remain hidden in the trenches, continuing to load our mortar weapons, or rise up out of them. No Man’s Land will always be scary, especially when the other person is still firing, but someone has to be the first. Someone must be the first to be courageous, first to become vulnerable and first to intentionally pursue the human in the other trench. It is never fun to go first. Never. The first person to stop fighting and seek peace will usually have to risk the possibility of incoming rounds from the other. I would love to say that I am Wonder Woman every time, but that simply isn’t true. Surprisingly, I have learned equally as much when I have gone second. When my husband is the first to enter No Man’s Land, I am faced with a choice to follow his example or validate the existence of my own stubbornness. It is then that I witness my true character and decide who I want to be. On Christmas Day 1914, French, German and British troops called a truce to exchange greetings and souvenirs, and even play football in No Man’s Land. Now known as the Christmas Truce of 1914, opposing forces who spoke different languages came together for a moment of peace. My favorite image of that amazing event is that the troops turned a battlefield littered with death into a football field for play. During the heat of an argument, it can be hard to see the potential of the land that exists between you and the other person. Your marriage was not created to have a vast space of empty land that separates you. It exists to be a playground. You may rise up and take a few hits, but if you choose your marriage over the trenches you have dug, you just might find a place where you have more in common than you thought. I was reminded this week that foxholes are homes for foxes, not men, and certainly not Wonder Woman. I am not meant to build a house there. And who won the battle for LegoLand? No one. What matters most is that we both rose up out of the trenches.